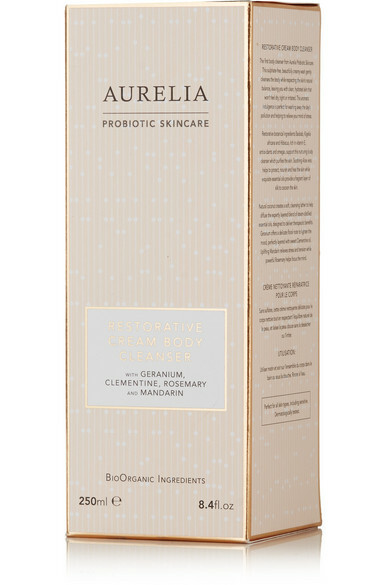 Wash away the day's pollution and relieve your mind of stress with Aurelia Probiotic Skincare's therapeutic body cleanser. Supported by a restorative blend of botanical ingredients, this sulphate-free treatment gently cleanses while respecting skin's natural pH balance to prevent tightness and boost hydration. Lathering to an indulgent creamy wash, natural Coconut helps to diffuse a fragrant layer of essential oils, including uplifting Mandarin to ease tension, sweet Clementine and mood-boosting Geranium.